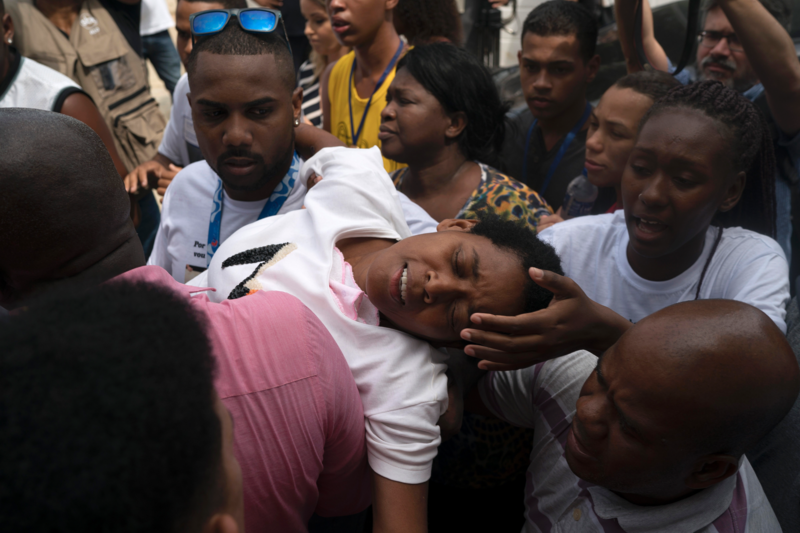 RIO DE JANEIRO – Brazilian authorities are promising prompt financial compensation for the families of all victims involved in a fire that killed 10 young soccer players. The Flamengo soccer club’s CEO refused to answer questions at a news conference Monday, as concerns mounted about the apparent lack of proper certification for its training center. The club says it is helping families traveling to Rio de Janeiro as most of the victims, aged between 14 and 16 years old, were from other states. Rio de Janeiro state’s attorney general says all authorities involved in the investigation will be gathering at the burned dormitory Tuesday morning for another inspection. The news conference was held as more families buried their victims. The devastating fire happened early Feb. 8, when the teenagers were still asleep.